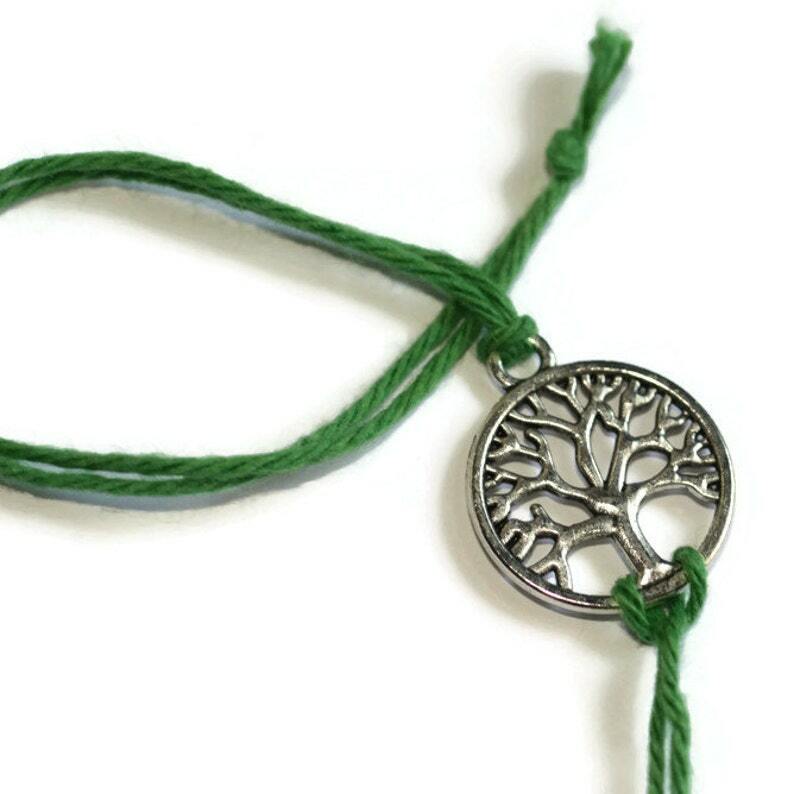 A tiny silver tree of life charm tied with any color 100% cotton twine that you wish makes the perfect little accessory for your wrist or ankle. There is no clasp, as it is meant to be tied on. These sweet Trinkets are dainty and charming whether you wear them alone or combined and stacked with several others. Trinkets make fabulous, adorable, and inexpensive friendship bracelets, bridesmaid gifts, wedding favors, or just that perfect little something to make someone smile. Really like this Cross to wear as anklet. Have bought many for gifts from this seller. I purchased two of these crosses on black thread for my teenage son. He gave one to a friend and they both wear them as anklets which look pretty cool on guys. I have ordered more from this seller and will continue to do so. These make awesome gifts as well!